I was introduced to Adam Kirk Smith by my friend Leo Lampinen a year or two ago. Adam’s created a massive following through his blog and social media accounts. When I heard Adam was releasing a new book, The Bravest You, I wanted to have him on the show. Thankfully, he agreed and now you get to benefit from our conversation. Listen in as Adam Kirk Smith and I discuss bravery, how bravery impacts leadership, and The Bravest You. Adam, what else would you like listeners to know about you? I’d like to give them the backstory to getting a book deal because it was full of trial and error. I started out on Xanga, if you can remember that. It went from there to me feeling like I’m doing all this writing and I need direction. So let’s do something else. I started Tumblr and gained 100 readers or so. There was more community on Tumblr than Xanga. Even still, I felt like I wanted to grow this to something more. I wanted to be an entrepreneur. I wanted to start a business and write about my journey. I started blogging about business and self-help. My advice to anyone out there to someone starting a blog or writing is to persevere. You’ve been a leader at Chick-Fil-A, your own shoe store, and more. How would you define leadership? I would define leadership as going first so other people can follow. The great leaders I remember, are the leaders who went first to influence other people to follow and tying a deep conviction to doing what is right to that. Every leader that you go back through history and look at had a deep conviction of doing what was right to them in that moment and going first so they could influence others to follow. People are looking for this one golden nugget that’s going to completely change their lives. But principles are principles for a reason. They’ve stood the test of time. It’s because principles work. It’s always going to come back to work. You’ve got to put in the work. Ideas are ideas. They’re great but you’ve got to go do something. These leaders we talk about and remember, can you imagine how much effort Martin Luther King Jr. put in? I’m not going to compare him to anyone else but to give listeners examples. It’s important to know who you are and put in the work. What role would you say bravery plays in leadership? If people aren’t courageous, then leadership principles in the future it’s just not going to happen. If you don’t have courage or bravery then you’re not going to be a leader. I really want people to understand I’m going to take people on a journey with books. The first stepping stone is bravery. The thing about it is that people are going to encounter fear whether or not they’re honest about it or not. It’s whether or not they’re going to be honest if they’ll pick up The Bravest You. You mentioned there’s 10 fears people will face. What are the common fears people face? The fear of failure is a huge one. The fear of uncertainty. The fear of the unknown. The fear of getting hurt. Those are some of the biggest fears people face. There will always be some level of nervousness in embarking on something new. My process will be one people need to revisit. It keeps coming back. 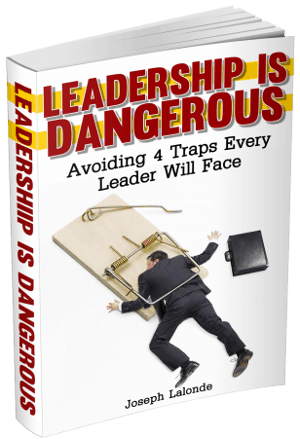 Where do these leadership fears or doubts come from? A lot of these leadership fears, that self-doubt comes from a wrong perception of ourselves and what others think of us. You said there’s a bravery process. Can you expand on the bravery process a little bit? That’s kind of the heart of the book. 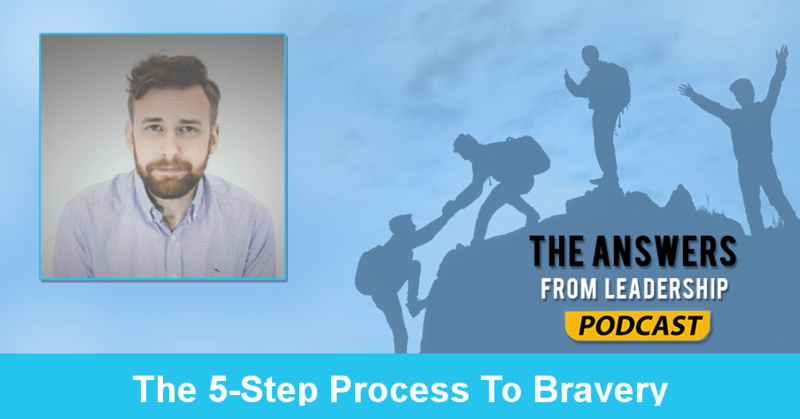 It took me 6 months to come up with the idea of the bravery process. The bravery process starts with complacency but can flip with the second step. The second step of the bravery process is inspiration. The next step is going to be fear. You come up with the idea and then you tell yourself all these reasons why you can’t. We’re programmed to see the negative before we see the positive. After the inspiration or idea and fear… the only thing that gets people from fear to bravery is passion. So, yeah. Those are the steps to bravery. Complacency, inspiration, fear, passion, and then bravery. If listeners wanted to connect with you, how can they do that? Asmithblog.com is my home base. I can be found on Twitter and Facebook as well. To find out more about the book, go to www.bravestyou.com. To purchase The Bravest You click here. Reach out to me at adam@asmithblog.com once you read the book. I’d love to hear what your thoughts are. Question: Are you ready to be brave? Let me know in the comment section.